Sideseamed. Relaxed fit. Unisex sizing. No pockets. Elastic ankle scrunch. Elastic waistband. White cord drawstring. 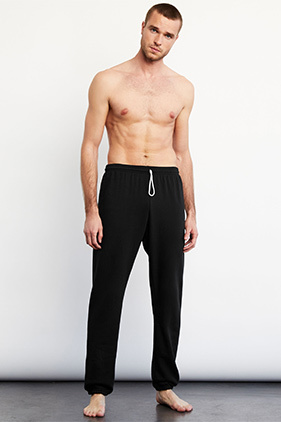 Full-length scrunch sweatpant brings luxe comfort to loungewear with an incredibly soft poly-cotton fleece fabrication, elastic waistband with adjustable drawstring and an elastic ankle scrunch.